For Now The Rain Is Gone & The Heat Is On! 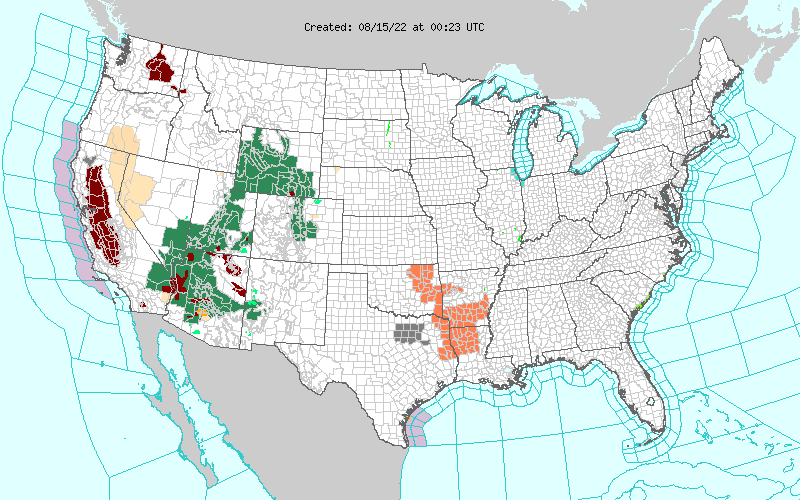 Blog Updated At 5:49 AM MDT. 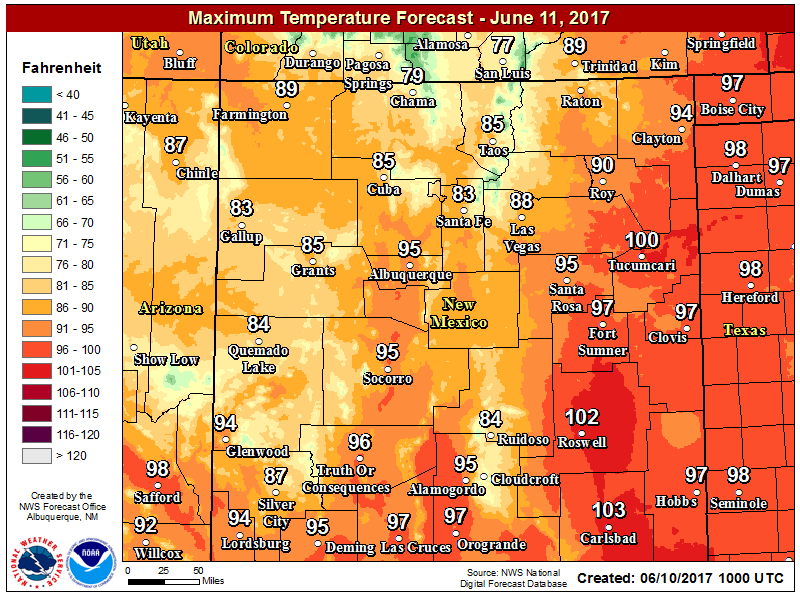 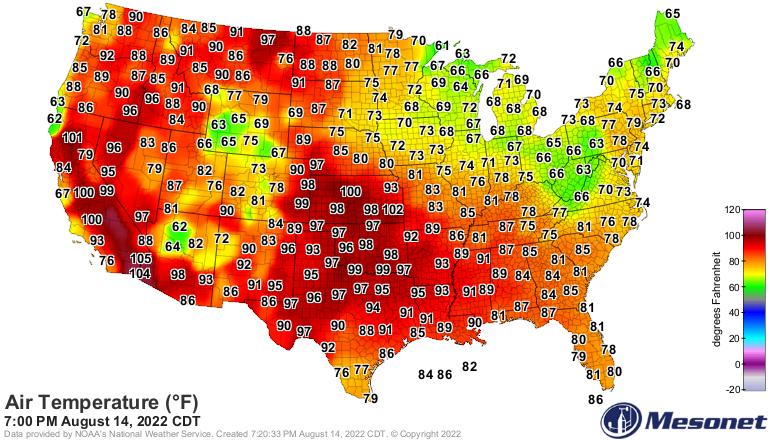 NWS Experimental Forecast High Temperatures. 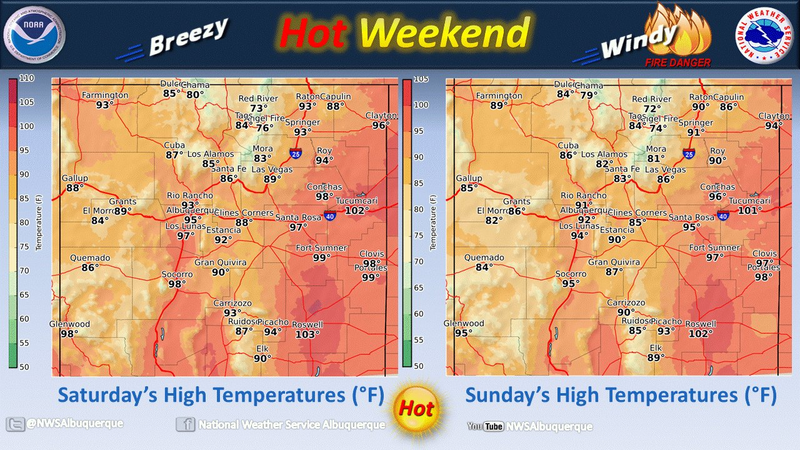 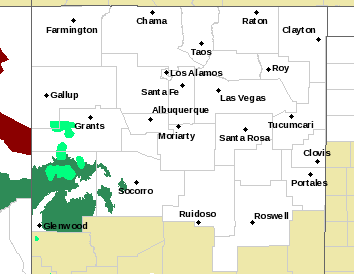 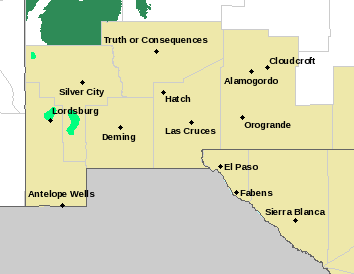 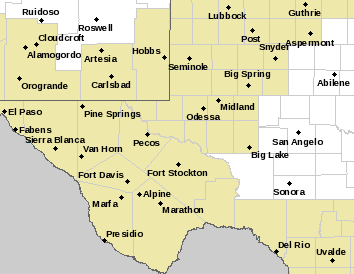 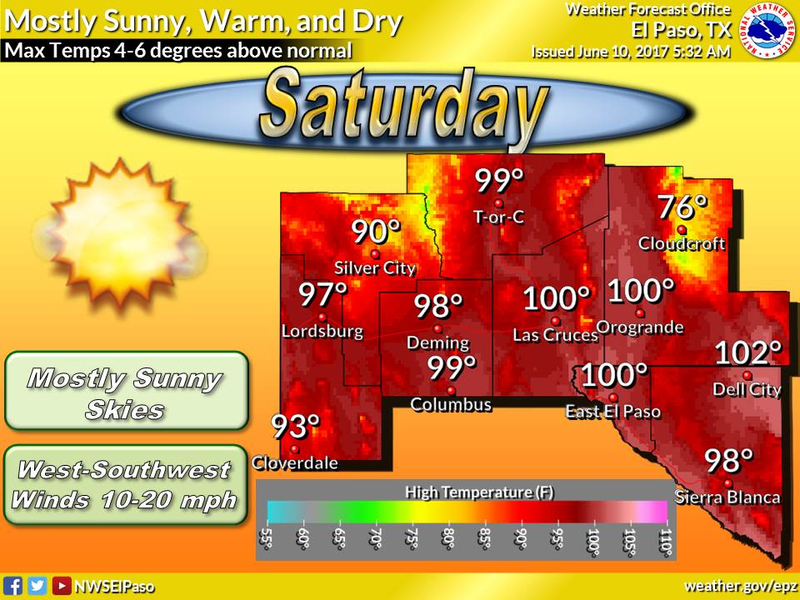 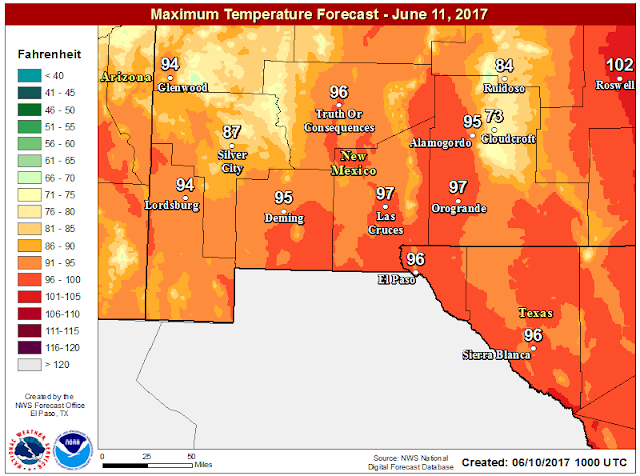 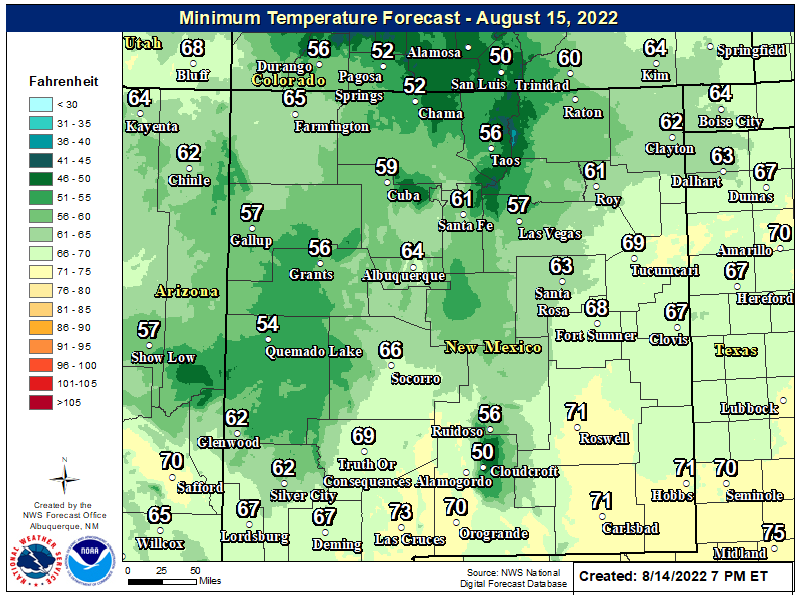 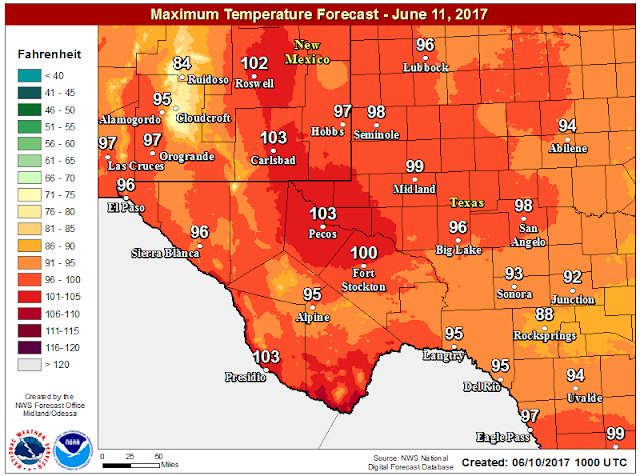 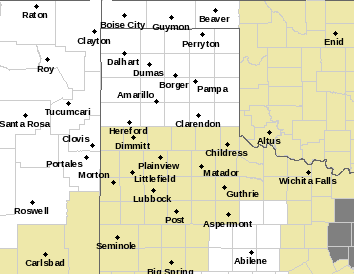 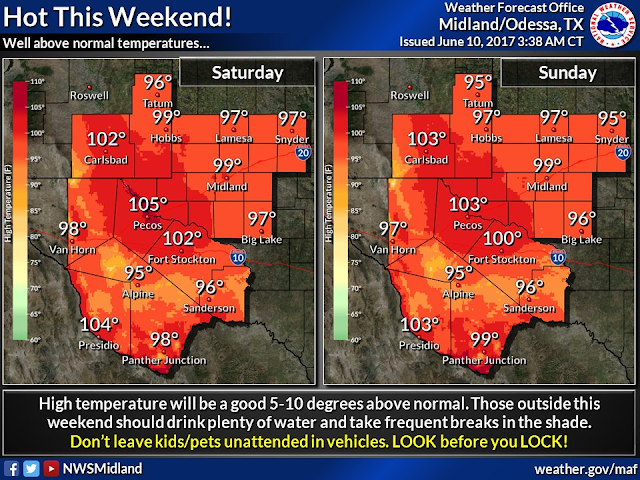 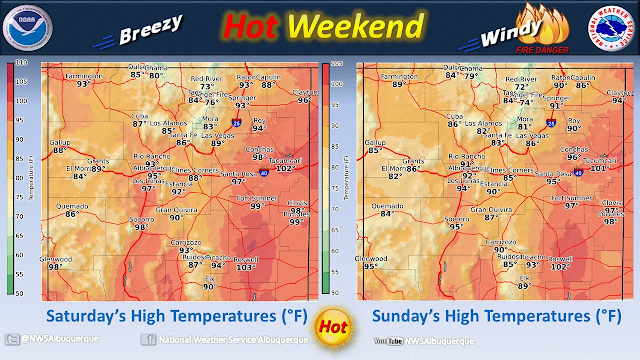 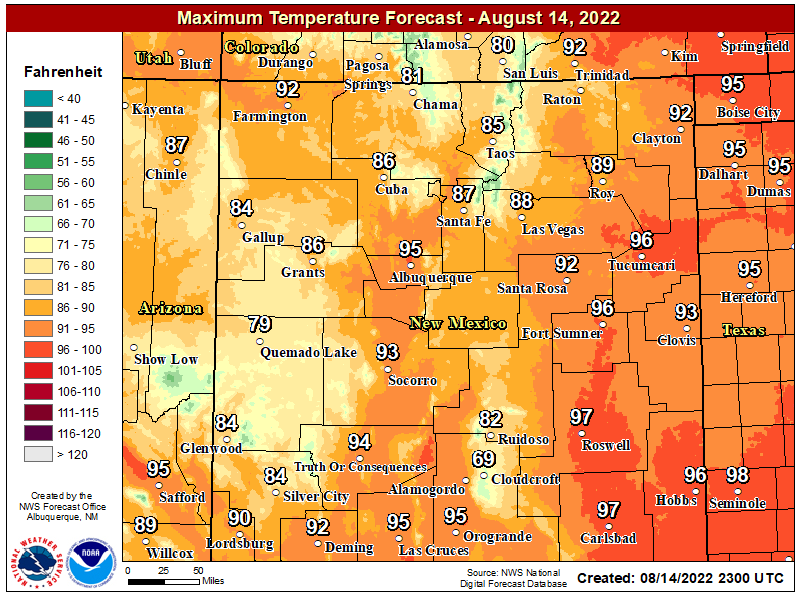 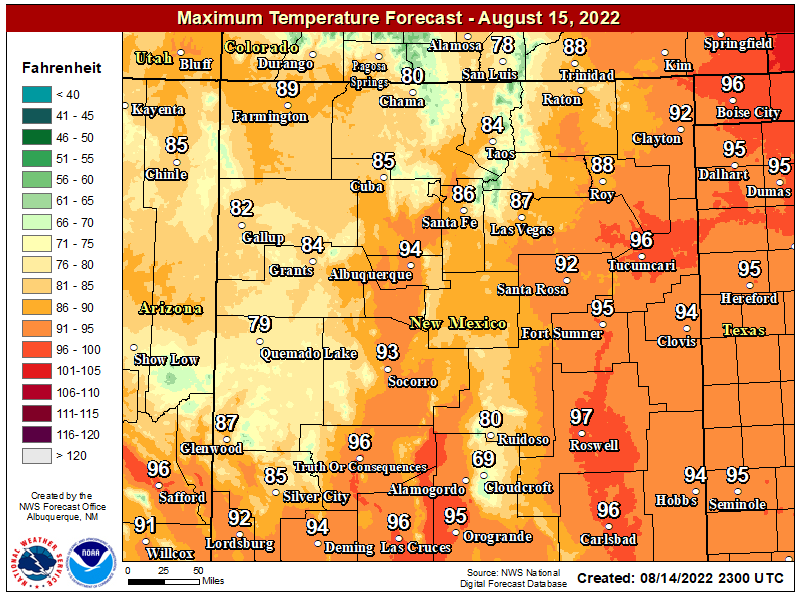 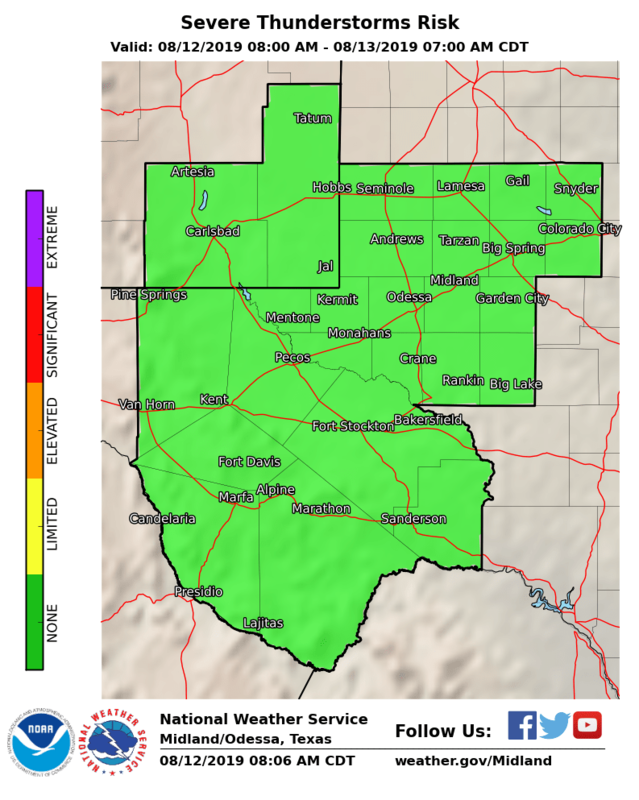 Forecast high temperatures across the local area look to remain at or near 100ºF for the next week for most of us in southeastern New Mexico. 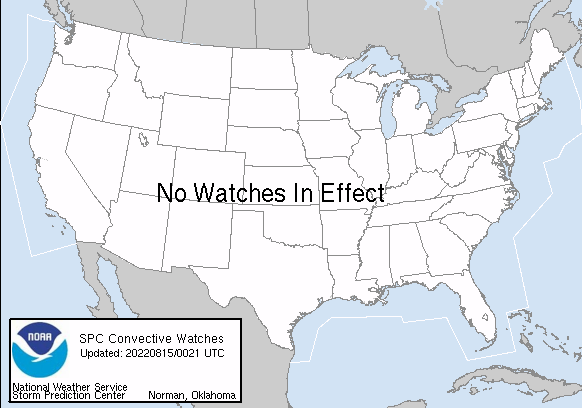 Which is fairly typical for June in this area. Last nights run of the European Forecast Model (ECMWF) produced the following high temperatures for Carlsbad over the next week. Today 104, Sunday 102, Monday 103, Tuesday 103, Wednesday 103, Thursday 106, Friday 104, Saturday 107.